There was lots of activity over the Easter Holidays with the Good Friday Cake Sale and the Church Gate Collection. We would like to say a BIG THANK YOU to everybody who contributed in any way. Whether you bought or sold raffle tickets, baked or supported the cake sale, worked on the cake stands or helped with the Church Gate collection, we want you to know that we really appreciate your help. 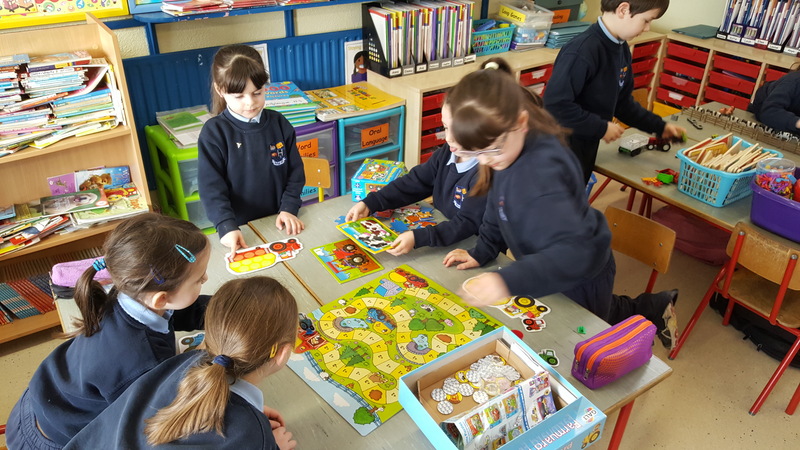 Congratulations to everybody who took part in the Kilgefin Community Games Art and Handwriting competitions which took place recently. 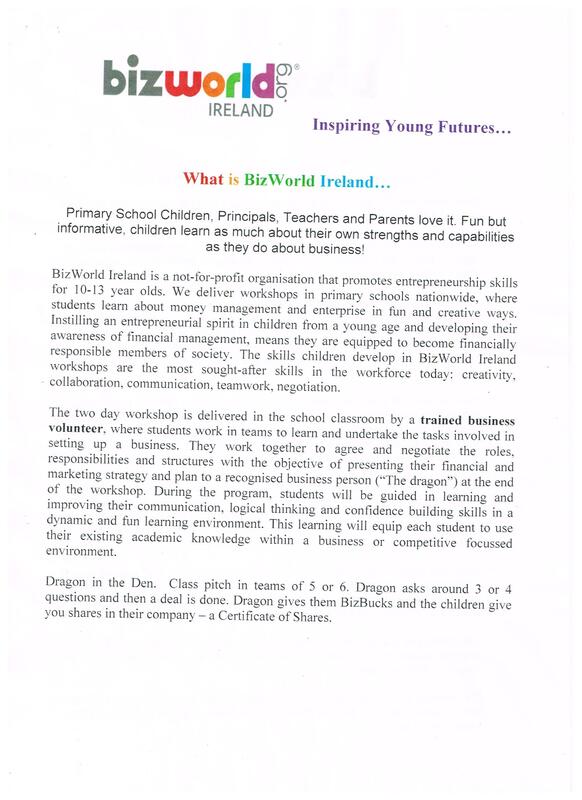 Despite a very high level of entries, we are delighted that there were a large number of winners from Ballagh NS. A big well done to the following children who were winners in their respective age category. Sophie Cox, Ava Brehon, Anna Cox, Katie Smith, James Cullen, Anthony Cox, David Cox, Jasmine Gibbons, Katie Rohan and Adam Parker. We wish Sophie, James, Jasmine, Adam and Rachel all the best as they now qualify to go forward to compete on behalf of Kilgefin Community Games at the County Roscommon Competion. The Art Competition takes place in Kilbride Community Centre on Saturday morning, 13th May and the Handwriting competition takes place on Tuesday 9th May in Kilbride Community Centre at 7pm. The Kilgefin Community Games Sports Day takes place on Friday, 12th May at 6pm in St. Faithleach’s GAA Grounds. The Parents Association of Ballagh NS are holding a Cake Sale, in the porch area at the side of Ballagh Church, immediately after 12 o’clock Mass on Good Friday. There will be a great variety of delicious home baking on sale and we would urge everybody in the area to come along and buy your Easter goodies. A raffle will be held during the Cake Sale. 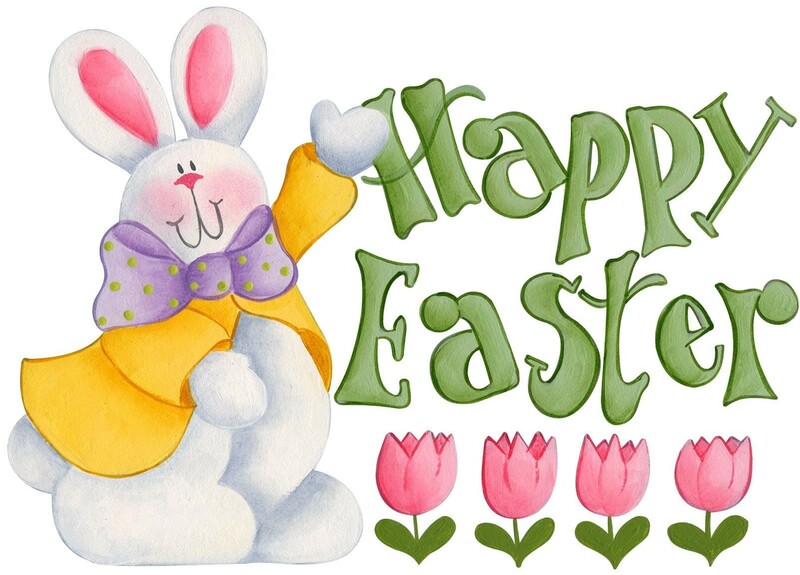 Tickets are €2 each and there are 3 big Easter Hampers to be won. Exciting times ahead for pupils in our Senior Room as they get the chance to take part in a two day workshop as described below! 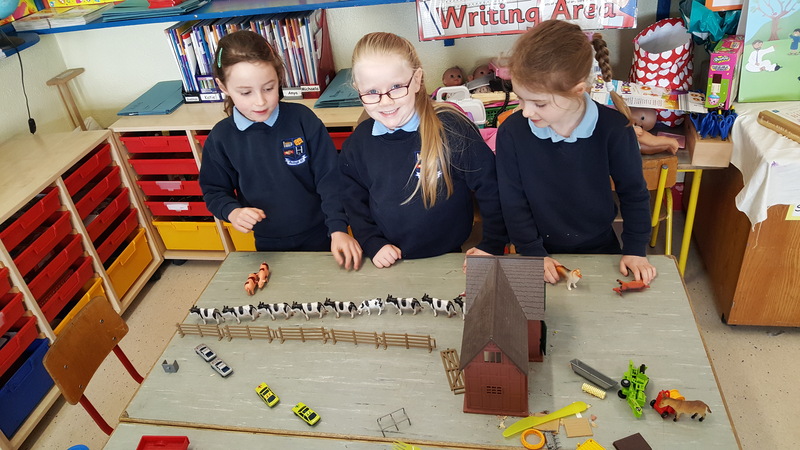 Once again, we are delighted with the talented artists that we have in Ballagh NS. Look at the fantastic entries for the Garda Poster Competition. Best of luck to everybody. 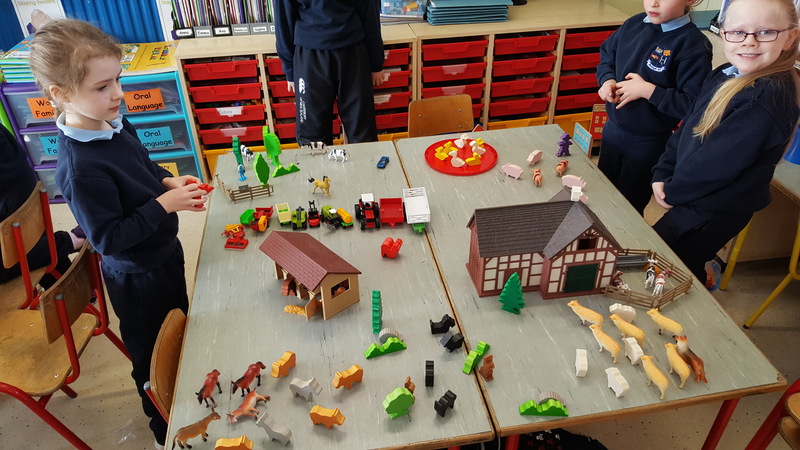 Our Aistear theme for this month is The Farm, and we are having a great time learning all about the different animals and machinery you will find on a farm.